From carpet and grout cleaning to pest control around your home, Chamber members have you covered. As Valley temperatures start to heat up it’s time to add spring cleaning to the to-do list. However, with life pulling people in every direction, actually putting on the gloves and fetching the mop and bucket can fall easily through the cracks. Fortunately, whether it’s carpet, upholstery, grout cleaning or pest control, these Greater Phoenix Chamber of Commerce members will ensure your home is looking its best and is welcoming to all – except dust and bugs of course. Staring from the floor, Zerorez prides itself on its natural solution for carpet, tile and upholstery cleaning. The company’s proprietary empowered water process cleans and sanitizes without using detergents or chemicals. This allows carpets to stay cleaner longer and typically dry faster. Zerorez shows its commitment to customer satisfaction through its 30 day “Gotta Love It” Guarantee, which promises to fix customer concerns. Best Mesa Carpet Cleaning promises every customer an eight-step cleaning process to remove all dust mites, dirt, hair and stains. 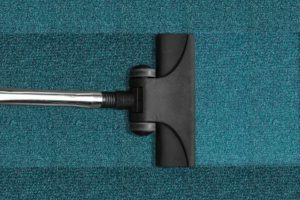 While many cleaning companies use only steam, Best Mesa adds a spot treatment and pre-grooming process to carpet to loosen all debris before the rinsing begins to ensure the deepest clean. The company also offers rug washing, carpet repair and furniture cleaning to ensure a full-service approach to residential and business cleaning. At Integrity Clean, the customer is in control. Driven by the motto “by your standards of clean,” Integrity Clean provides four cleaning options to fit the needs and budgets of every customer. From showcase deep cleaning featuring a seven-step process to basic steam cleaning, Integrity Clean has an option for each customer. Integrity Clean also offers carpet repairs, drapery dry cleaning and fabric protection services to ensure the entire home is perfect. Cleaning air ducts is critical to reduce the spreading of harmful dust and allergens. Hospitality Services, Inc. is committed to providing residential and commercial duct cleaning done right. In order to minimize the danger of pollen, dust and other debris spreading, the company uses high-efficiency vacuum equipment that expels particles outside of the home. Hospitality Services, Inc. also provides exact price quotes for any services offered. Western Exterminator Company makes pest and rodents a problem of the past. Trained exterminators using the most effective pest control methods set Western Exterminator Company apart. The company’s proven experts in handling bed bugs, mice, flies, termites, wasps and more use a green pest control approach that removes pests from the entire property and prevents them from returning. Contact these companies today to let the professionals handle all of your spring cleaning projects.